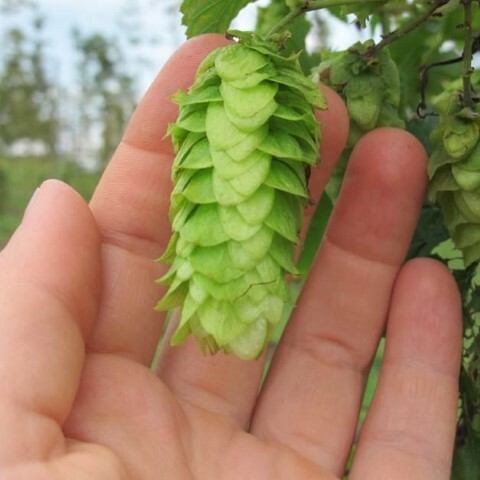 Starksboro--As the popularity of craft brewing and microbreweries has grown in recent years, so has interest by farmers in commercial hop production. On Sept. 28 Champlain Valley Hops in Starksboro (5459 Rte. 116) will host a free workshop to share their experiences with growing and processing quality hop products for Vermont brewers. Peter Briggs and Julian Post will discuss how they established their hopyard including building trellises, planting hops and strategies for weed management and irrigation. They also will describe what they are doing to improve their land to successfully grow hops and increase yield. The workshop, held in conjunction with the University of Vermont Extension Northwest Crops and Soils Program, will run from 10 a.m. to noon. Registration is required by Sept. 25. To register online go to https://champlainvalleyhops.eventbrite.com. Or call (802) 524-6501, ext. 432. To request a disability-related accommodation, please call by Sept. 21. Northwest Crops and Soils Program staff Heather Darby, John Bruce and Scott Lewins will be on hand to answer questions about hops production and their hops research. Participants will have an opportunity to tour the farm, which currently has 26 trellised acres and 18 acres planted with several hop varieties.